Finding a way to effectively and safely display large images is crucial if you’re in the business of selling artworks, prints or posters. You need your artworks to be protected, but you also need to give your customers an easy way to browse the images on offer. This is where our floor standing poster display really works well. As a free standing poster display, these racks allow for effective housing of many prints, posters, photographs or artworks. Solidly constructed and with a professional aesthetic, our standing poster display systems are a great investment for your business. You can use these display stands for art, for prints, for posters and more. Here’s what you need to know. The quality is great: Made from strong steel for the frame and with aluminium frames for each print, these print racks are designed to stand the test of time. They protect your prints: We provide display stands for prints that are designed to protect the contents from harm. The aluminium frame ensures there is no chance of creasing or folding, and the anti-static clear cover prevents damage whilst allowing your customers the best view of your beautiful prints. There’s a great choice of sizes: Whether you need a swinging panel display for a large movie poster display of up to 40 x 60 inches, or for smaller items of up to 22 x 30 inches, we’ve got the perfect poster racks for sale on our site. Don’t see the size you need in our collection? Talk to us today as we can happily fabricate a custom order to your individual specifications. You can pick colours to suit your brand: We supply a wide choice of frame colours, and in some models you can also select the colour of the panel and of the panel corners. This means you can customise your swinging panel display to suit your branding, or to show off your artworks in the very best light. They let your customers enjoy your products: Our display stands for prints, artworks, photos and more are designed to sit at the perfect eye level for your customers. This will encourage them to spend longer looking at your posters display, and to take care to choose their favourites from your collection. There are many other reasons to love our posters display systems, so if you’re in the business of selling artwork, photographs or prints, you’ll be glad you invested in one of our amazing products. All of our print racks are supplied with either 10, 15 or 25 aluminium mounting panels so you can start using them straight away. Each panel contains a white insert, which means you can display images back to back, doubling capacity from your initial purchase. Choose your multi panel display today and make it easier for your customers to purchase from you. Why choose print racks from Valentino’s Displays? Here at Valentino’s Displays, we supply art storage racks UK wide to businesses large and small. We don’t just resell other’s products either; much of what you see for sale here on our website is designed and manufactured by us ourselves. We put all our experience and expertise in this industry into every product we sell, so when it comes to making an amazing movie poster display, you’re in good hands with us. As well as these swinging gallery display stands, we also sell counter top systems, as well as wall mounted poster display units. We ship all of our art storage racks UK wide and even internationally. 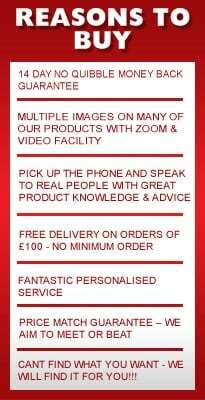 Contact us for a quote or for advice on finding the perfect product for your needs.